Irving Park Auto Body Shop | Irving Park Auto Body Repair | Irving Park Auto Body Repair Shops | Irving Park Collision Repair | Irving Park Auto Collision Repair | B&L Automotive Repairs, Inc.
B & L Automotive Repairs, Inc. has been delivering the finest auto body repair work for over 36 years. The company initially was started by Bernie Schatz (B) and Lou Stein (L) in 1978, and in 1988, Peter Rizzo became the new owner of B & L. For 26 years, Peter Rizzo and his family have maintained the standard of excellence in auto collision repair begun years ago. We make sure that all of our auto body shop technicians have the current, state-of-the-art training so that B & L continues to stay on the cutting edge of providing the most extraordinary collision repair services to our loyal customers. Whenever our devoted clients from Irving Park visit our auto body shop, they realize that their auto body repair is going to be skillfully handled by the best collision repair professionals in the industry. Irving Park, Illinois is only a little over one mile from B & L Automotive Repairs, Inc. Naturally most people from Irving Park who have ever needed to go to any auto body repair shopsknow precisely how awesome B & L is. Although, many individuals don’t take the time to submit good reviews about their experiences with auto body repair, it is amazing how many people have written favorable reviews online about B & L. Further, most residents of Irving Park have a really excellent idea of just how incredible B & L’s auto body shop is. Irving Park residents understand that we work with all makes and models, dealerships and top insurance providers. 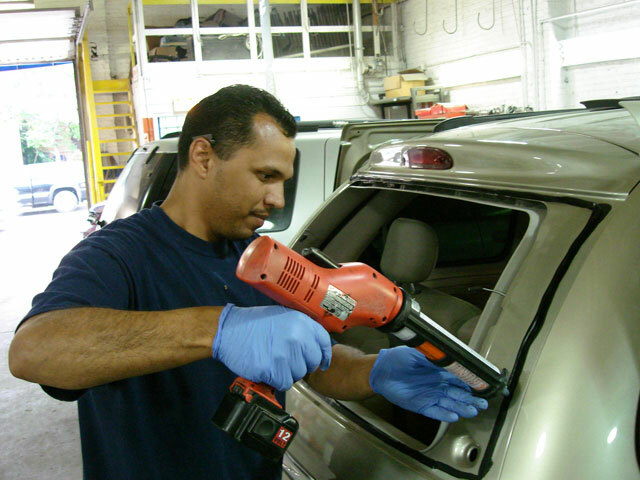 Whether it is for major collision repair work or for factory scheduled maintenance, Irving Park customers understand that our proficient staff will endeavor to ensure their needs are dealt with in the most professional way. B & L will assist all Irving Park clients get the auto collision repair they need at a price they can afford. B & L Automotive Repairs, Inc. will provide the services you require in order to improve the claims management process by focusing on integrated claims management and delivering the finest industry-leading collision repair services possible. Furthermore B & L offers an effective limited lifetime warranty to its customers. Best of all, B & L guarantees that the parts and materials it uses in collision repair are of the finest quality. From the get-go, one of our customer service representatives will steer you through every step of the auto body repair process. You will receive a rock-solid estimate that you can take to the bank! Also, B & L has quality control checks every step of the way to make certain that not only has your auto body repair been done correctly, but that your vehicle is safe to drive. For more information about our auto body shop, call B & L today at: (773) 463-1622 and we will provide you with a free estimate. Everyone was professional and the work was top notch. I was led to B&L automotive through the Rizzo family. I wanted to go somewhere that did everything that I needed without having to go to different places. I have 5 kids and time is pretty tight. Pete Rizzo met me at the door shook my hand and it was then I knew I was in the right place. He showed me everything that he thought he could do to “pimp my ride”. Then he showed me around the shop and I was thoroughly impressed. Pete arranged to have a loaner car for me and left with knowing my car was in the hands of professionals. They called me the next day with a quote and all the upgrades that they were going to do to my Lexus and had everything finished in a couple of days. They even had someone come out to my house and drop my car off……what service!!!! When I saw the car it looked like it did 10 years ago brand new. I had brakes, rims, body work and a full detail of the car to get it ready to hand off to my daughter (reluctantly:) . All I can say is awesome!!!! They did exactly what I wanted/needed with a smile on their face at all times and in my line of work, being a dentist, that is pretty important. Everyone was professional and the work was top notch. I give Pete and B&L automotive two thumbs up and will be back in the future. Thanks Kim, Pete and everyone B&L. Excellent customer service from start to finish. From Vanessa’s quick, capable and genuinely nice assistance at the front desk to Gino’s honest, straightforward recommendations, I was thoroughly impressed. This shop runs like a well oiled machine. They should start a side business with a customer service training academy. If only all businesses had this level of customer service the world would be a better place. Great service! I had three prior estimates for body work (smallish dent on the side door) and their prices were very reasonable. The work and service was great — they picked me up and dropped me off from the train which made it possible that I could be without a car in the middle of winter and still make it to work! I recently had an accident that caused my front passenger panel to get jammed in such a way that my passenger side door would not open. Having already spent almost $900 getting my axel repaired form the same incident, I was dreading getting an estimate. I came on Yelp, and saw all the rave reviews of B&L, so I trucked my way on over there. I walked in and was greeted by the receptionist who was very polite and offered me a bottle of water. She took my info and a minute later the Assistant Manger came and I showed him the damage. He said he would take a look so I sat back down. Less than two minutes later, he returns and tells me he fixed the problem!!! I didn’t even have time to pick up a magazine. What’s even better is that he fixed it totally free of charge! He even helped direct traffic so I could back out. I was so shocked by the generosity and professionalism by the folks at B&L – they’ve gained a loyal customer for life! Everyone you’ll encounter here is exceptionally nice from the receptionist to the managerial staff to the detailers to guys who aren’t even working on your car. And they don’t nickel and dime you here either. Brian talked me through everything my accident had done to my car–things I hadn’t even noticed and let me know what I could probably live without repairing (e.g., bumper scratches because, let’s face it, I live in the city and that’s just a fact of life here). The repairs were quick and as affordable as they could possibly be for someone paying out-of-pocket, and the morning I dropped off my car, they were nice enough to give me a ride to work because it was pouring rain out. I can’t recommend these guys enough. They’ve been around for decades, and they treat you like they want to be around even longer. B & L Automotive Repairs, Inc.